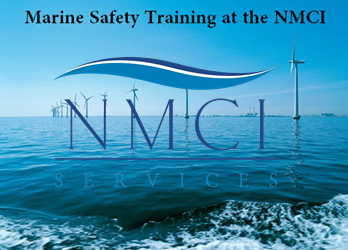 The Renewable UK Marine Safety Training (MST) course will commence at the NMCI in February 2012. The MST is designed to meet the basic training and competence requirements for all personnel transiting and transferring to and from offshore renewable facilities. The course has approval from Renewable UK (formerly known as BWEA) which is the voice of wind and marine energy and the UK’s leading trade association representing the interest of the renewable power sector. This training standard has been developed in consultation with key industry representatives covering OEM’s, developers, training providers, construction and supply chain partners and key industry stakeholders. • Recognition of the signs symptoms, and understanding of first responder actions to hypothermia and ingestion of water. • Basic first aid actions and common equipment in the marine environment. Sum of 1 + 2 ?